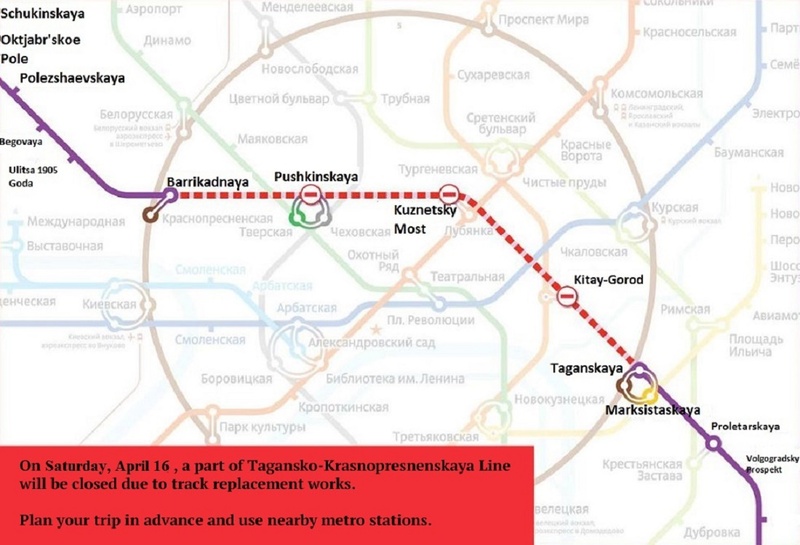 Due to the train derailment in the tunnel between the Park Pobedy and Slavyansky Bulvar subway stations, this part of the Arbatsko-Pokrovskaya line is closed. 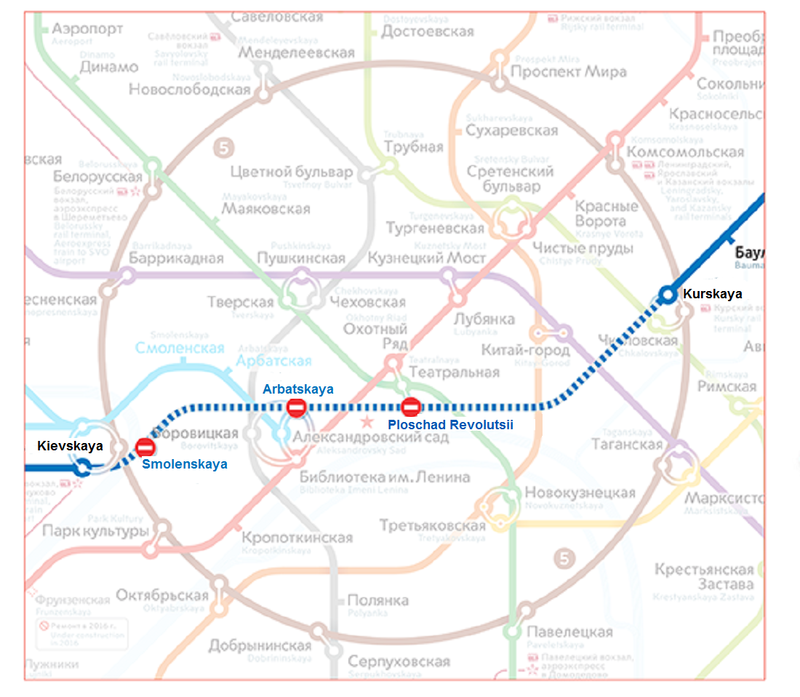 The Dark Blue Line (Arbato-Pokroskaya Liniya) operates between the Shelkovskaya and Kievskaya stations, and between Molodezhnaya and Pyatnitskoe Shosse stations. 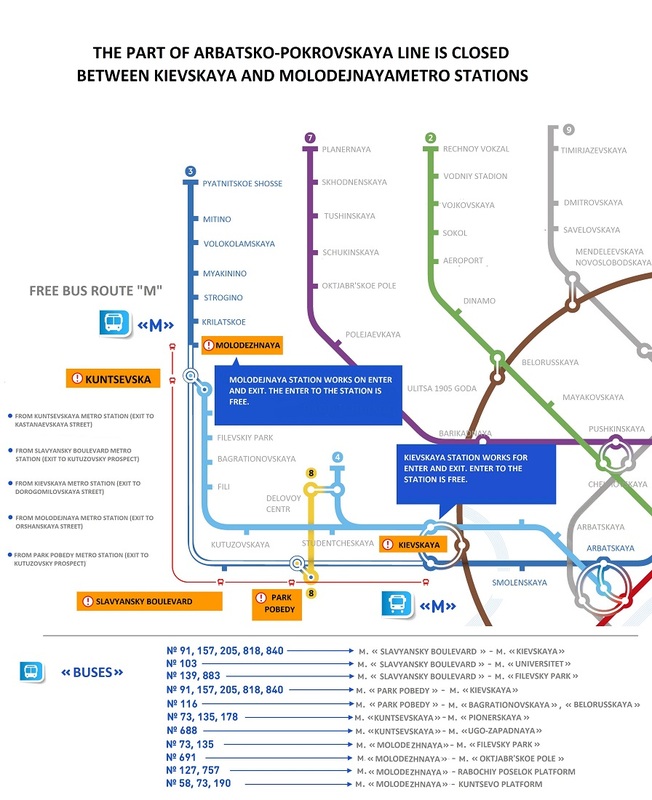 All service between Kievskaya and Molodezhnaya stations has been suspended. 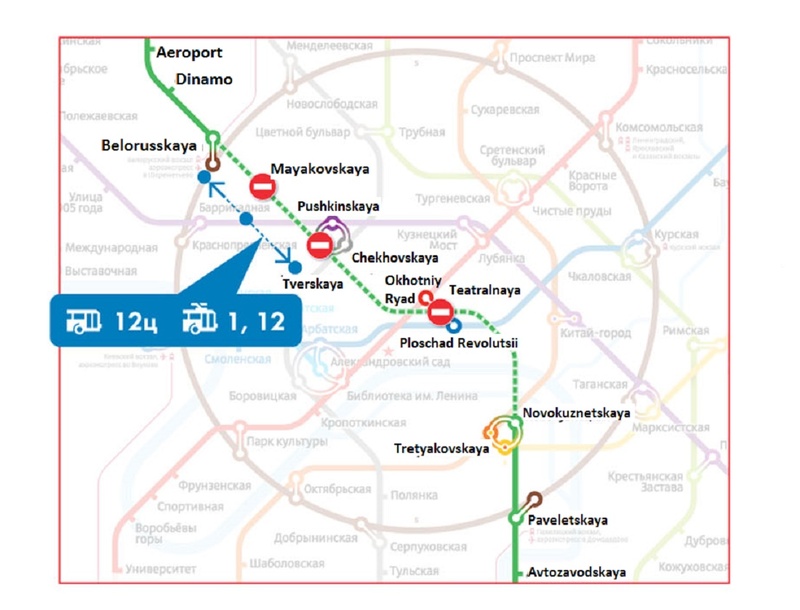 A special «M» Free Shuttle Service is now transporting passengers between Kievskaya and Molodezhnaya. The shuttle stops at each temporarily closed subway station. The «M» Shuttle Bus will run according to the normative subway schedule. At 5:30AM 38 shuttles will be on the route. Busses running on compensatory routes will be given maximum traffic priority, including a dedicated bus lane, being set up now along the Kutuzovsky Prospekt.